Start your weekend a little early with one of the Lake's Favorite Charity Events...the 13th Annual Wing Ding!! If you haven't been to the Lake of the Ozarks Annual Wing Ding, you are in for a treat!! The Wing Ding is a charitable event that benefits the United Cerebral Palsy Heartland and brings together restaurants from all over the Lake of the Ozarks area to compete for the title of the Best Wings!! 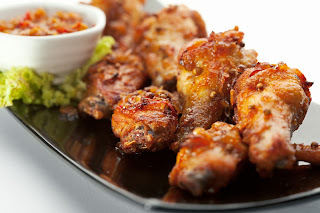 The Lake Area restaurants take this title very seriously and show up with only the finest wings to be judged and enjoyed by all those who attend the event. Discover the Fine Golf Courses at Lake of the Ozarks!! 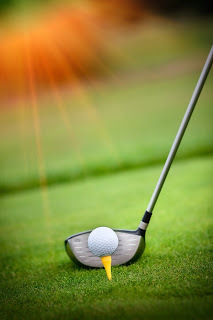 If you're a Golf Enthusiast, the Lake of the Ozarks is the perfect place for you!! Most people think of boating when they think of the beautiful Lake of the Ozarks, but it is also the home to some great Golf courses!! Whether you're visiting the area or considering something more "long term," you should check out the golf courses that you'll find here at the Lake. Osage Beach, Missouri - - Fran Campbell Johnson with Fran Campbell Team, RE/MAX Lake of the Ozarks has been inducted to the 2013 Real Estate Buyer’s Agent Council’s (REBAC) “Hall of Fame” presented by REBAC of the NATIONAL ASSOCIATION OF REALTORS® (NAR). 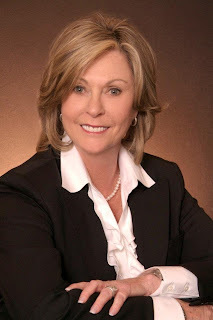 Fran Campbell Johnson was nominated for the 2013 REBAC Hall of Fame by fellow REBAC members and was selected by an independent panel of real estate industry leaders. She has been an outstanding leader in the real estate community. Fran serves a very large “client base” and provides a multifaceted array of assistance and services. She has also made a visible difference for buyer’s representation needs in her local community and nationally. Fran has demonstrated that she is a source of knowledge and experience in working with buyer’s and has shown high principles and furtherance of the principles of good practice among REALTORS®.